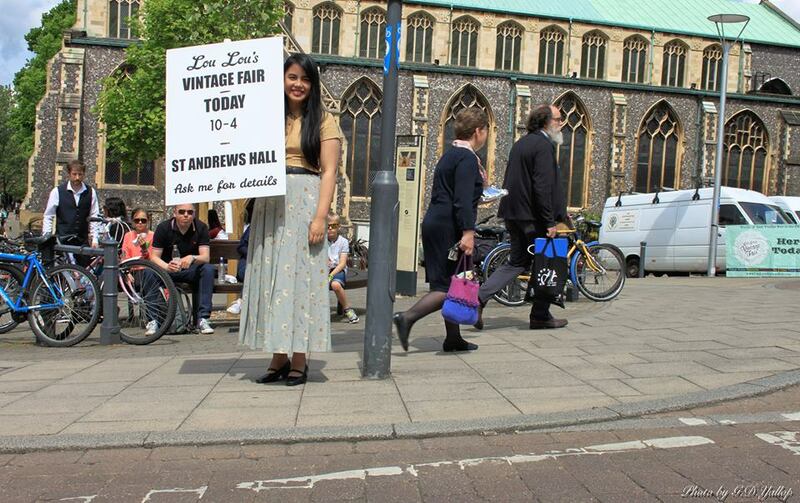 Learning the Ropes at Lou Lou’s Vintage Fair in Norwich. 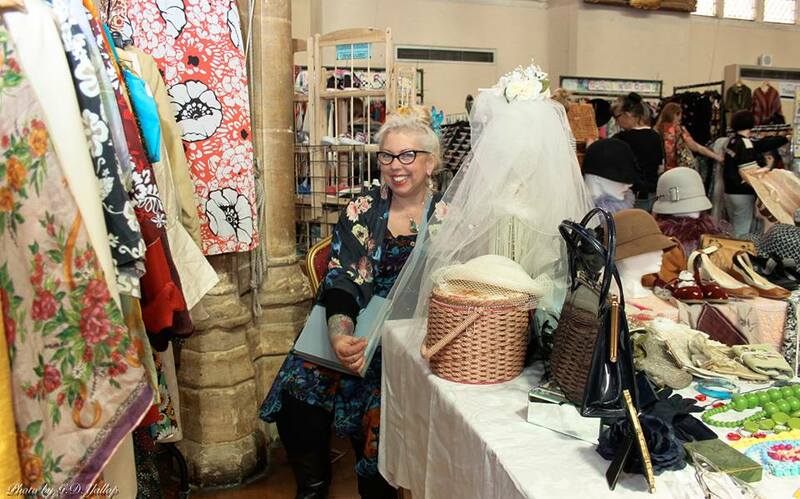 So, last weekend found me in St Andrew’s Hall in Norwich, a venue in which I have had a stall on many occasions at different events, but not as a stall holder this time, oh no, I was actually being trained to be in charge of a big event, run by national company Lou Lou’s Vintage Fair. How did it happen? In a nutshell: I worked for a Government Department for hundreds of years, got a bit bored in 2010 & decided to start my own business doing what I love as a sideline – Wake Up Little Susie! Day job & business ran alongside each other nicely, sometimes hard but worth it, got promoted to a job I enjoyed as a manager, then the Government Department didn’t want me & my colleagues any more so redundancy! Much scariness & sadness coupled with excitement & opportunity as my business became full time! 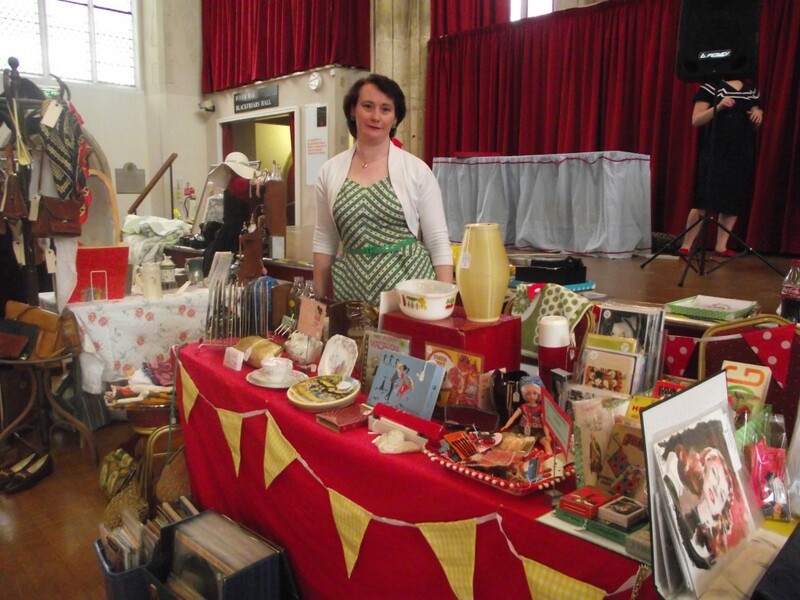 Lots of vintage fairs & online sales, all going well but needed a little extra cash (bills!) mentioned this to a friend & ex-colleague (Sarah from The Wedding Shed) who one fateful day sent me a link to a job opportunity which she insisted would fit me like a glove! 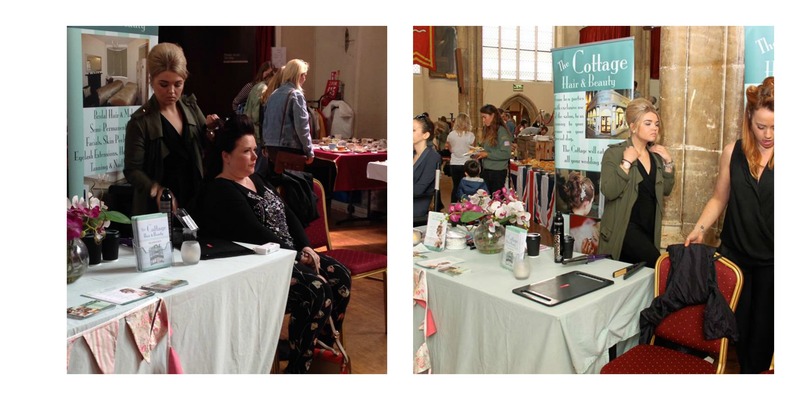 Lou Lou was calling me to be her local Norwich Manager…I was excited about the job description as it matched my skills & interests perfectly – Oh, it said I had to have a year’s experience as an ‘Events Organiser’…actually, yes! 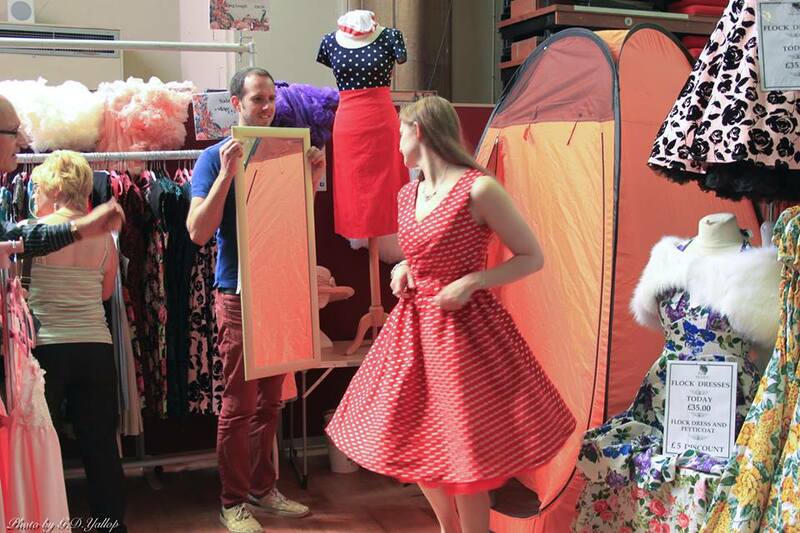 I had planned & hosted a massive fashion show with Sarah, regularly hold my own Vintage Nightwear Parties & spent a lot of time in the office planning/holding meetings & training sessions….so, yes I am a qualified events organiser! Even more excited! Then, after deciding that I REALLY wanted this job, I got the ‘phone call to say yes! Very happy. I was to do a training fair where I would assist an experienced manager & then, all being well, I could take the reins at the next one, with my very own assistant. 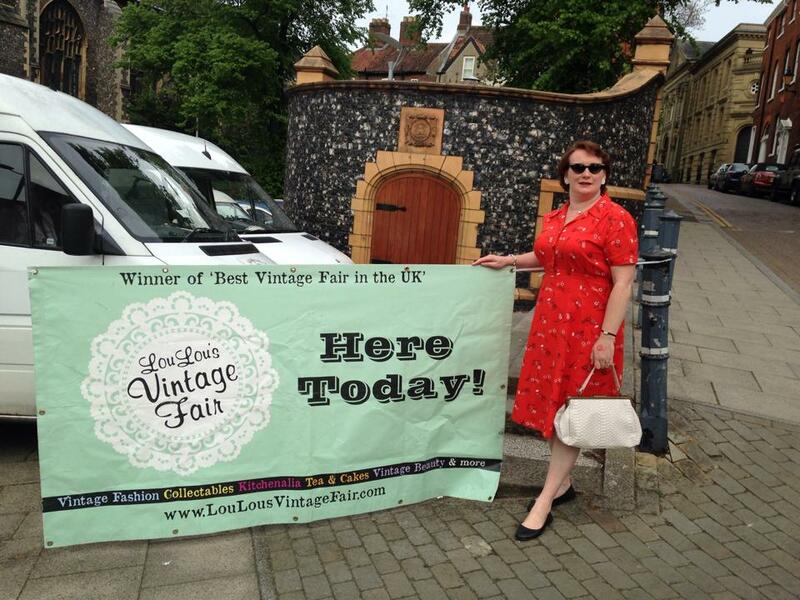 Unfortunately we had already booked to be away when the next Lou Lou’s Norwich date was, but at least we were in the sunshine at a Rock ‘n’ Roll festival and I made the most of it by buying a fab vintage style shirt-waister dress from Miss Bamboo especially to wear at my first event as manager. Then, the day came & I was really nervous…I knew I was to be working with manager Lottie who was driving down from Nottingham (hence the need for a local manager!) & I knew I could do it, but I always worry about doing my best at something new. Got there in plenty of time as I knew Lottie was travelling from afar &, oh dear, the hall staff would pick that day to be confused about the opening time…stressed traders & traffic everywhere as I worked to control the situation & get us all in, but all the time thinking about how I could avoid this in the future (my Civil service ethic of ‘Continuous Improvement’ continuing to stand me in good stead!) Then, hooray! All set up & ready to open with no problems! 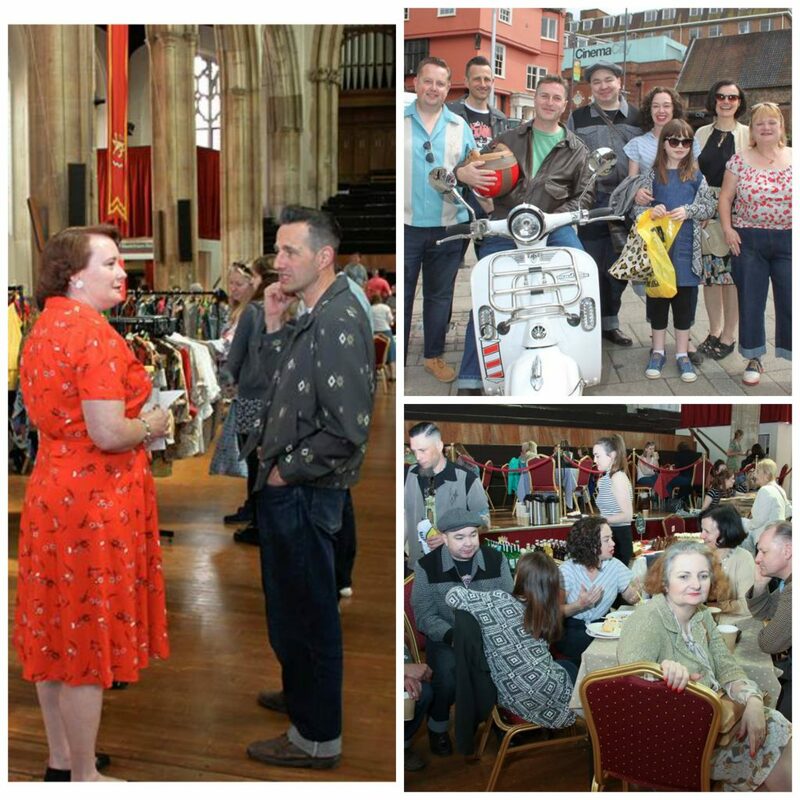 One of the nice things about Lou Lou’s events is that they attract the best of local dealers, like my good buddies at Kooks Vintage and Merry-Go-Round who made me feel in a comfort zone as I knew I could rely on their support, as well as bringing in top traders from across the country so customers get to shop from stalls that they won’t see anywhere else in Norfolk. 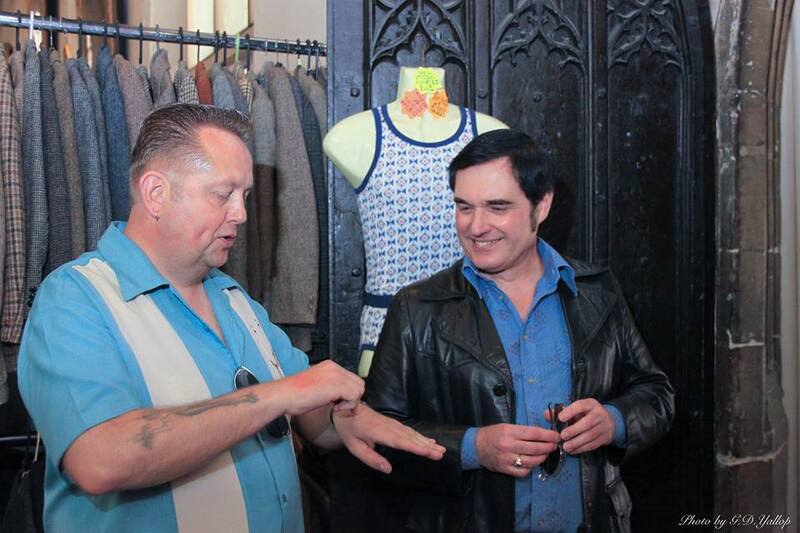 So, good to make new friends on the day with the guys from The Magical Tree, Mooch Vintage, Little Old Me & many others. 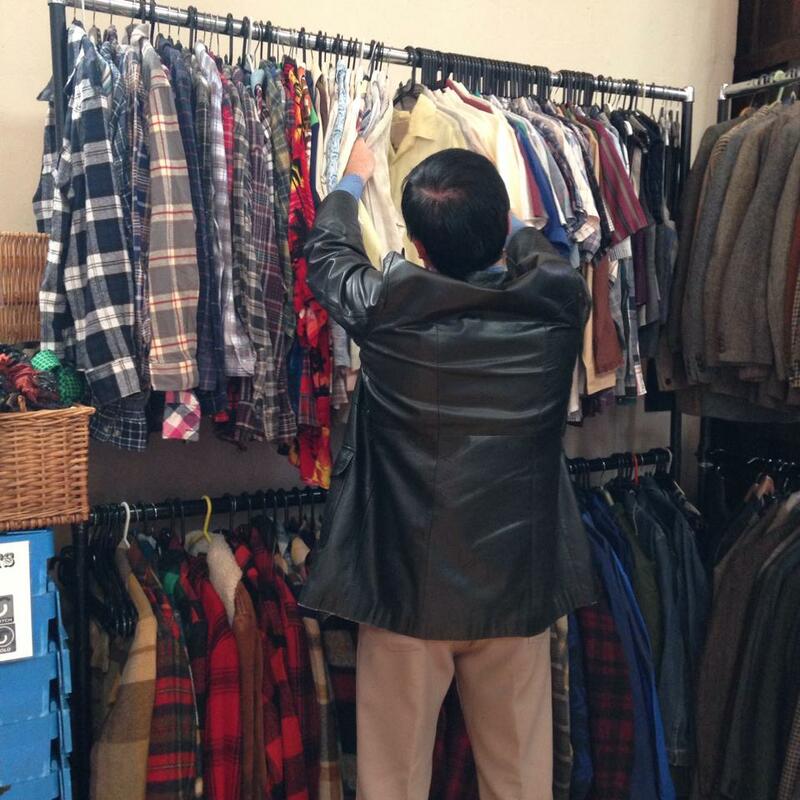 Some of the non-local stalls had lots of menswear too, and it was great to see lots of male customers doing ‘proper’ shopping, which doesn’t always happen at vintage events. 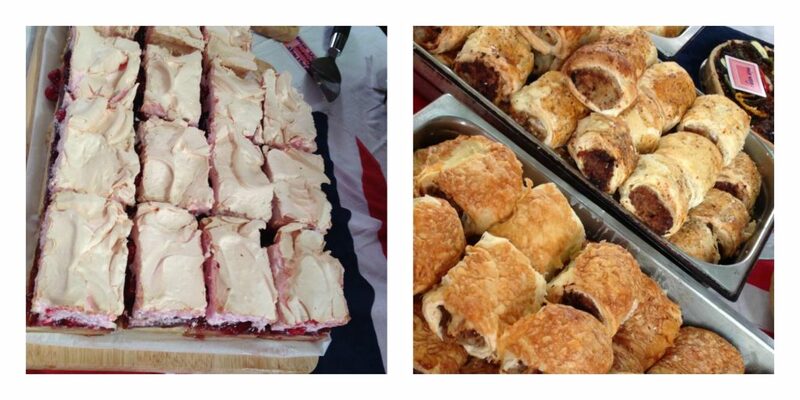 My duties for the day, which I shared with Lottie were to make sure the traders were happy, take money at the door (& stamp hands! ), sort out music, a spot of social media (glad I signed up to Instagram the other day! 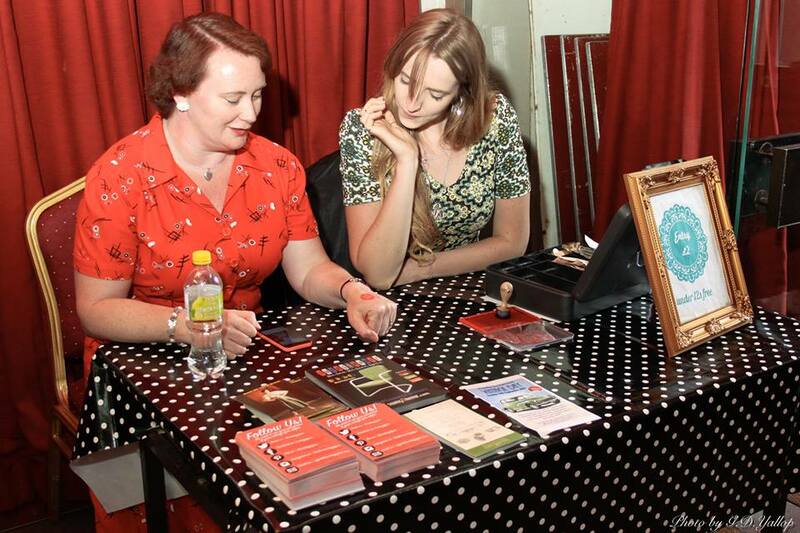 ), generally making sure all was going well &, something different, overseeing our promotional staff who did a fab job enticing people in with banners & gathering emails for our mailing list. It all helps! Love this one – it looks for all the world like Lottie is training me on how to stamp hands, but there must have been a bit more going on …. Got my own Lou Lou’s kit too! 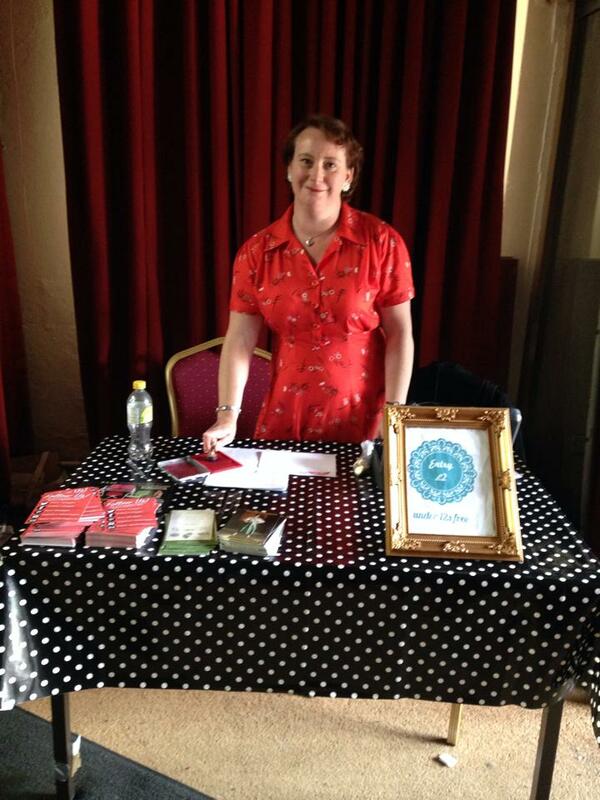 with sign, table cloths, clipboards (they make me happy!) & everything! 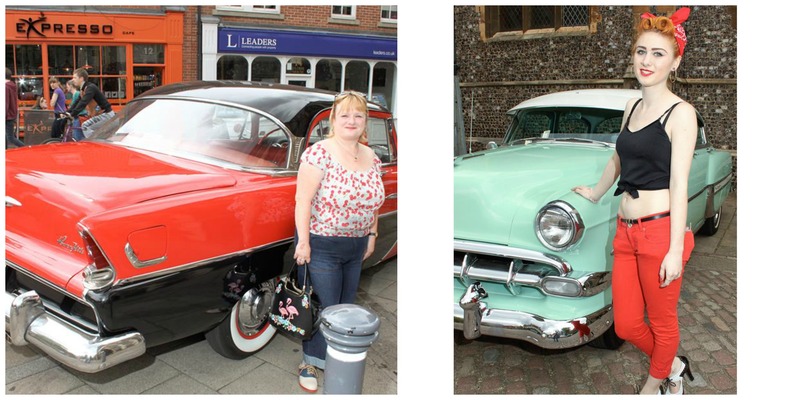 By chance we ended up with a couple of cool classic cars outside too, so maybe a concept to develop in the future. 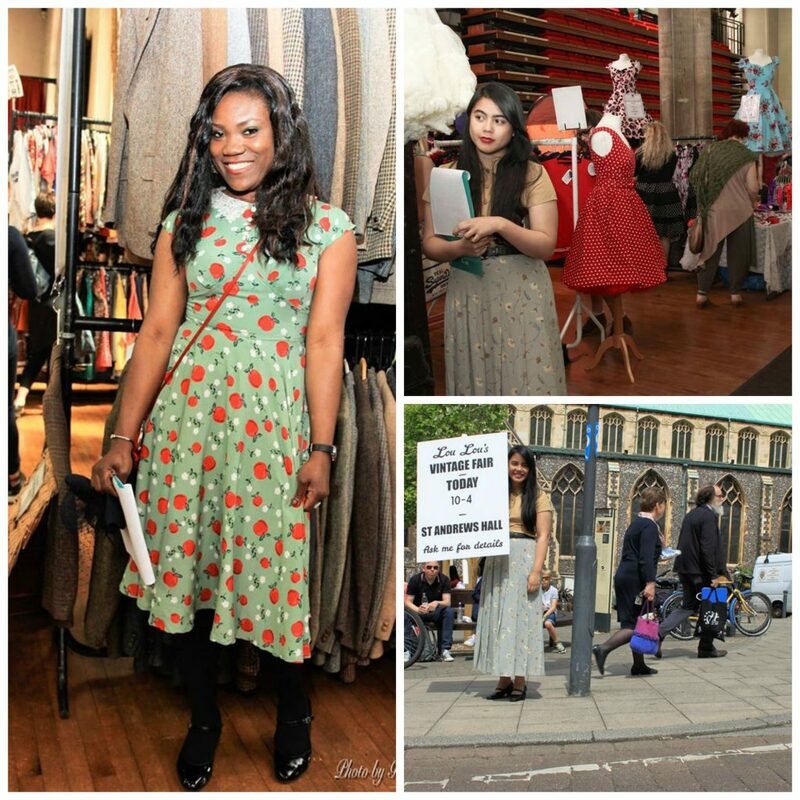 Of course there was food & vintage styling involved too…. ..and a Lou Lou’s first for The Cottage Hair & Beauty. 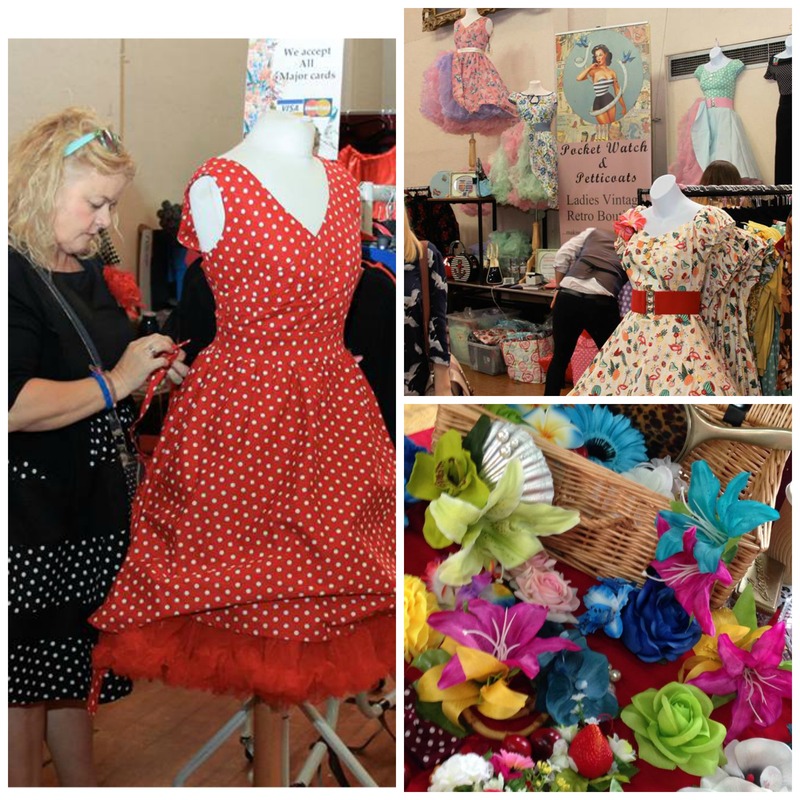 Also a real good mix of true vintage & great reproduction goodies from the likes of Frilly Chantilly, Ipswich based Pocket Watch & Petticoats & our very own Bad Kitty. And best of all, lots & lots of Happy Shoppers! Another good read Susie. Look forward to the next. All in all we had a good day trading at Lou Lou’s on Sunday, not the best but still not bad. Disappointing start to the day for many traders not being able to get into the hall on time, but not for one second could we put the blame on you as everyone could see that you were doing everything you could to rectify the problem. You handled it with much professionalism and kept your cool, despite being thrown in at the deep end! Despite that I think we all managed to get set up on time ready to welcome the customers at the official start time. Well done Susie, it will be really good having you as our Manager in future. See you on Bank Holiday Monday at Gressenhall 60’s Rock ‘n Roll event.